Sad news: the house that built Bioshock’s Rapture and Bioshock Infinite’s Columbia is shutting down. Per Ken Levine: “I am winding down Irrational Games as you know it.” He’s starting a new venture with Take-Two, keeping only about 15 employees, while BioShock changes hands to Take-Two. Between gimmicky Wii shovelware, Red Rings of Death and large price points tainted by giant crab battles, this generation started with something akin to a whimper—and that’s being generous. But as the years went on, we were not only treated to one of the longest generations of console gaming, but also the most fruitful. We saw games take great strides in scope and imagination. With dozens of new IPs that hold great promise, some of the most fantastic sequels ever made and new approaches to storytelling, it’s safe to say that gamers are in a better situation now than they were back in 2005, when the Xbox 360 first debuted. On the even of a new generation, we thought we’d take a look back at this last generation—and perhaps one of the greatest we’ve ever had. Over the course of several weeks, the GamerSushi staff voted on the best experiences of this generation, getting in heated debates, pitting games against each other in vicious battles and nearly ending several friendships. Below are the results. Can you guys believe that it’s already May? That means it’s time for another bout of Power Rankings. At about half way through the year, I do have to say I’m surprised with the games on this month’s list, and what a surprise 2013 is shaping up to be in terms of variety and the titles available to us. Tomb Raider and Bioshock Infinite are still kicking strong, but Blood Dragon is a surprise contender out of the blue. And that’s not even mentioning the two 3DS games that are making waves. So here’s this month’s list of the hottest 10 games that the GamerSushi staff is playing at the moment. I’m actually really looking forward to the shake-ups that are bound to occur for June’s list, when games like Last of Us and Monaco show up in our backlogs. GamerSushi Asks: The Waning of Multiplayer? I’m not sure if it’s because I’m getting older, have less time, or because most multiplayer games are feeling pretty homogenous these days, but I’m barely able to dive into multiplayer matches any longer. What used to keep me up long into the morning hours before school or work just feels like a chore. Fighting guys that use the same cheap tactics, using the same abilities or progression trees that started in Modern Warfare — none of these things interest me any longer. Even Halo 4, a game whose multiplayer I loved, only had my attention for a few weeks. It seems like CS:GO is the only multiplayer game I can dive into a few times per month. If other players must be involved, what I love these days is a good co-op/horde mode. It’s far better to kill with friends than it is to kill your friends (virtually speaking, lest I end up on an FBI watch list). I’ve had my eyes on Monaco for this very reason. 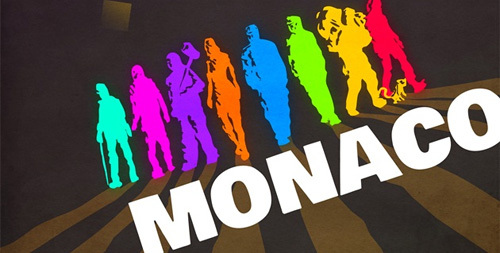 Besides the fact that it’s a co-op heist game (which we talked about on a podcast a few months back), I just really want a game that allows me to yell at my friends. But beyond that, my most beloved thing at the moment is still tried and true single player gaming. Continue reading GamerSushi Asks: The Waning of Multiplayer? Posted on May 3, 2013 Author EddyCategories Adventure, Co-Op, FPS, GamerSushi Asks, GamerSushi News, multiplayerTags bioshock infinite, csgo, halo 4, monaco, multiplayer games, tomb raider5 Comments on GamerSushi Asks: The Waning of Multiplayer? As we inch ever closer to Episode 69, the Return of the Drunk Cast, I bring you this, Episode 68, which has a bit of a different format than previous shows. First, Eddy and I start off with an extended intro where we talk my genetic inability to lie on account of my nationality, and how Eddy knows a guy who has done a lot of cool voice acting. Then, when Jeff joins the cast we kick into a talk about Heroes on Xbox LIVE, SimCity descending even further into a well of idiocy, and then we bring back Fill in the Blank. You can see the topics below, and as you can image we had some good discussions. You know the deal, listen, rate and come back next week (hopefully) for the Drunk Cast! 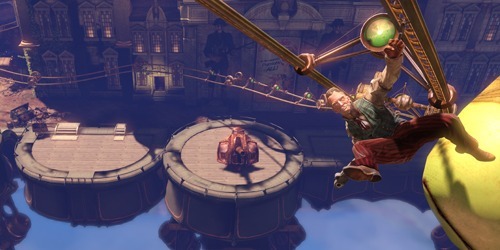 BioShock Infinite was announced a long time ago in gamer terms: 2010 was the first time we heard about the world of Columbia in any official sense (Irrational had been referring to the game as Project: Icarus before that). Even though we’ve known about it for three years, we can assume it’s been in development for much longer than that. Naturally, any game with a long gestation cycle will undergo a lot of changes, and BioShock Infinite is no exception. The folks over at Outside Xbox have a short video detailing the ways that Infinite has progressed ever since we first laid eyes on it, and I thought I’d share it with you for this week’s “Did You See This” Wednesday. Even though we at GamerSushi are extremely happy with the end product, it’s crazy to think what could have been. BioShock Infinite isn’t wildly different in its final form, but Elizabeth’s powers were more broad in scope and the combat arenas were much more open and dynamic than they were in the final game. What do you guys think? Happy with how Infinite turned out? What features from 2010 would you like to have seen stay in the game? Welcome, welcome, one and all, to the 67 episode of The GamerSushi Show. On this three man cast, we finally delve into spoiler-talk about BioShock Infinite, so be warned if you’ve yet to complete the game. Not that Eddy doesn’t try and spoil it a couple times in advance of the actual discussion, but I, your fastidious editor, made sure that his attempts at trolling were for naught. Sorry in advance to you headphone users, though. In addition to BioShock, we talk about Disney closing LucasArts, EA winning the Worst Company in America award for the second time in a row (they’ll annualize anything, won’t they?) and the out-of-control rumor mill surrounding the next Xbox. Listen, rate, and we’ll catch you on the flip side! Of the coin. Get it? BioShock reference. Another month, another update to the beloved, ever-changing GamerSushi Power Rankings. If you’ll remember, March had us loving games like Ni No Kuni, FarCry3 and Dead Space 3 above all others. Well, things have changed quite a bit in April. You see, some of the year’s best games and biggest surprises have all come out one after the other, which leaves us quite a few new contenders. And some of those contenders will probably linger for a while to come. GamerSushi Asks: Taking Your Time? Welp, time for another Bioshock Infinite post. I’m sure you guys are getting sick of these by now, but I suppose you’ll have to suffer through our praises of this game for just a little longer. As I already noted on Monday, Bioshock is a gorgeous game. The worldbuilding and the design of Columbia are enough to take your breath away for the first few hours, and everything begs to be explored. But what happens after that? You get sucked into the story, and soon you’re rocketing along faster than skyrails. Every now and then, I find myself trying to slow everything down, though. Not in a bad way, like the game is moving too quickly. But more in a way that I want to appreciate everything instead of tackling it at a breakneck speed. Certain story games prompt me to blast through them and enjoy the ride no matter where it takes me, but with Infinite I find that I’m trying to pull back just long enough to remember the experience and make it matter more. So my question for you guys is: when is the last time a game did this for you? Do you try to take your time with games, or just push through them as quickly as possible on your first playthrough? Do you pace yourself? Go! Posted on April 5, 2013 Author EddyCategories Adventure, FPS, GamerSushi Asks, GamerSushi News, PC, Playstation 3, RPG, XBox 360Tags bioshock infinite, columbia4 Comments on GamerSushi Asks: Taking Your Time? Hype. It has been the pitfall of many a game and it can appear at anytime from any number of sources. An amazing trailer, such as Dead Island. A genius auteur, like Hideo Kojima and his Metal Gear Solid series. A storied franchise, like Final Fantasy. All have been the focal point of an intense wave of hype and anticipation and all, at various points, have failed to live up to the near-unattainable level of quality that the gaming masses expected. The almost-ravenous desire for Bioshock Infinite stems from all three of the sources mentioned above. At E3 in 2010, a clever trailer brought the world’s eye upon the game for the first time. Ken Levine, the man behind the first Bioshock, itself heralded as one of the greatest achievements in gaming, was back with a brand new game, set in a brand new world with promises to blow our minds as thoroughly as Andrew Ryan did in Rapture. Then the reviews started to come in, garnering some of the most lavish praise ever bestowed upon a video game. The hype was out of control. Surely there is no way a game can live up to this kind of fervor. Bioshock Infinite is going to disappoint us just like so many of the ones that came before. Hooray, this post is actually legit. You guys should prepare yourselves, because I’m guessing a lot of our upcoming posts for the next couple of weeks will have to do with Bioshock Infinite in one way or another. Not only is it just a hot commodity right now in terms of gaming news, but the thing is just really damn good. There was a shocking amount of things to talk about this week on The GamerSushi Show, with what might be the most high-profile game release of the year hitting this week. BioShock Infinite takes up a good chunk of the cast, along with the latest entry in Gears of War series (which is actually pretty fun). For news, we break down the trailers that came out this week at GDC and the fact that Square Enix’s CEO stepped down. It’s a righteous cast, and we hope you enjoy! You know what to do: listen, rate and we’ll see you next time! After the last few weeks, it’s been hard for me not to be a bit of a gaming grump when it comes to trends in the video game industry. Sometimes it’s easy to look at all the ways the hobby’s changing, from DRM to microtransactions to the idea of games as a service instead of games as a product… and just feel a bit let down. But then some great games come out like Bioshock: Infinite and Tomb Raider, and you start to feel a bit more hopeful. Like maybe some teams are out there still thinking about us and trying to make games we’ll enjoy. So in that vein, I thought today’s Pixel Count would focus on the positive: what gaming trends do you love about the industry right now! Tell us why in the comments! What trend are you most excited about in gaming? Posted on March 26, 2013 Author EddyCategories GamerSushi News, GamerSushi Votes, Gaming Theory, Industry News, PC, Pixel CountTags bioshock infinite, drm, microtransactions, tomb raider3 Comments on Pixel Count: Gaming Trends? We talk a lot about backlogs here at GamerSushi, as some of us (mainly me) have an annoying tendency to buy games and then let them sit on the shelf for weeks and months at a time as we get distracted by something fresh and shiny. It’s funny because gamers complained for years about the Fall Onslaught of games, but now instead of a sudden rush, we have a year-long trickle that makes finishing a game before the next one you want comes out tough, not to mention making a dent on the backlog. The GamerSushi Show, Ep 65: Sushians Assemble! After a short break from the cast, we’ve got a whole crew on for this edition of The GamerSushi Show! That’s right, Nick joins us for the entire cast. We were pretty excited when we saw him pop up on Skype. As for what we talk about during the cast, we have a fairly restrained conversation about SimCity, discuss John Riccitiello leaving EA and what that means for the company, and Jeff breaks down why he thinks Tomb Raider is awesome. Anthony then has an unscheduled rant about Final Fantasy Versus XIII reportedly being turned into Final Fantasy XV for the PlayStation 4. It’s fairly entertaining. So, you know what to do. Listen to the podcast, rate it up on the iTunes with all the stars you can muster, and be nice to each other. Seriously, find a gamer and give them a hug. We’re an angry group of people that just want to be loved. Posted on March 24, 2013 March 24, 2013 Author MitchCategories Adventure, Features, FPS, GamerSushi News, Industry News, PC, Playstation 3, Podcast, sim, The GamerSushi Show, XBox 360Tags bioshock infinite, final fantasy 15, final fantasy vs 13, john riccitiello leaves ea, sim city, the gamersushi show, tomb raider2 Comments on The GamerSushi Show, Ep 65: Sushians Assemble! If you thought February was rough on your wallet, then I have some bad news for you: March is going to ruin your finances. Just to give you an idea, for the poll choices, I like to select the noteworthy games for the month and my original list was 12 and I had to trim a few off to make this thing look less like ALL the March releases. It all begins today with Simcity and Tomb Raider, both of which are garnering stellar reviews. I plan on picking up Tomb Raider a little further down the road, but Simcity is already pre-ordered and ready to go. I literally can’t wait to start plopping buildings and building my own version of Florida in a digital form. The GamerSushi SimCity Region will never be the same once my chuckleheaded Sim-citizens start wreaking havoc. Pixel Count: How Do You Prefer Your Hype? The reveal of Bungie’s newest property, Destiny, has had me thinking this week about the nature of hype in the video game realm. With everything from years-out announcements to games that get stuck in an endless development cycle, games that get dropped on us just a few months before release and more, we’ve seen the whole gamut of hype. Sometimes it is a bit much for our poor hearts, methinks. But while I’m excited about the little snippets that Bungie showed off, I can’t help but feel like maybe the announcement had been just a tad overhyped in the week prior. Bungie explained a little of what Destiny is, but there’s still so much we don’t know, and for a game that seems built around its high concept that we may or may not have seen before, it seems like maybe that information is necessary. In the end, it comes down to strategy, and how each developer feels that they can ultimately sell more copies. All that to ask you guys today’s poll question. How do you prefer your video game hype? Go! How do you prefer your hype? Posted on February 19, 2013 Author EddyCategories FPS, GamerSushi News, GamerSushi Votes, Industry News, Pixel CountTags arkham city, bioshock infinite, bungie, destiny, half life 3, video game hype8 Comments on Pixel Count: How Do You Prefer Your Hype? Sweet, merciful heavens. Has it really been almost a year since our last Pop Quiz? My, how time flies. In my defense, the last Pop Quiz arrived about a week before my daughter did, so it’s interesting to note how little humans tend to disrupt things like, you know, writing features for a gaming site. So, since it’s been a year since our last getting-to-know-you game, we wanted to ask some questions about the upcoming year, last year, and where your head is at as a gamer for the time being. While 2012 was certainly an interesting and fun year for gamers, 2013 looks to be no slouch, either. Already we’ve had Ni No Kuni and Devil May Cry making waves, and Dead Space 3 is just around the corner next week. Seems like we have a good opportunity here for some questions. If you haven’t joined us for a Pop Quiz before, it’s simple. Just answer with as much or as little of an explanation as you like, and nobody will judge you. Too much. OK, scratch that, I’m always judging. GamerSushi Asks: Your Gaming Outlook in 2013? Pretty hard to believe that we’re in the year 2013, eh? I’ll avoid the typical jokes about flying cars and Kardashian-related apocalypses, and instead say that we’re glad you’re all here with us to keep talking about video games. Since there’s not much in the arena of gaming news besides the stuff we’re all no doubt sinking our teeth into after the holidays (guess who beat XCOM today? ), I wanted to ask a couple of questions about 2013, and the number of possibilities it holds for our beloved hobby. With games like Bioshock: Infinite, The Last of Us and the probably launch of new consoles, there’s a lot of potential for this new year. So, here are your questions… Continue reading GamerSushi Asks: Your Gaming Outlook in 2013? Posted on January 2, 2013 Author EddyCategories GamerSushi Asks, GamerSushi News, Gaming Theory, Industry News, listsTags bioshock infinite, next gen, the last of us, video game releases 2013, XCOM9 Comments on GamerSushi Asks: Your Gaming Outlook in 2013? There may have been some crazy stuff going down at Irrational games over the past few months with some of its high-level designers leaving, but there’s no denying that BioShock Infinite is looking quite hot. It’s been a while since we’ve seen hide or hair of the game, but Machinima just released the Beast of America trailer for BioShock Infinite, and damn if it doesn’t get me excited. This game just needs to come out. While I just couldn’t get into the first BioShock (I tried playing it about three years too late), I can tell that Infinite is going to push all my buttons in the best way. Leaping from cable to cable and blasting fools off floating cityscapes might just be too much fun. The game is still on track to hit its February 2013 release date. What do you guys think? 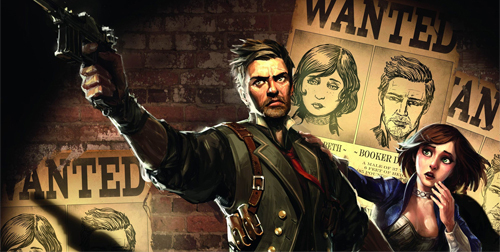 Is BioShock Infinite still singing its siren song to you?